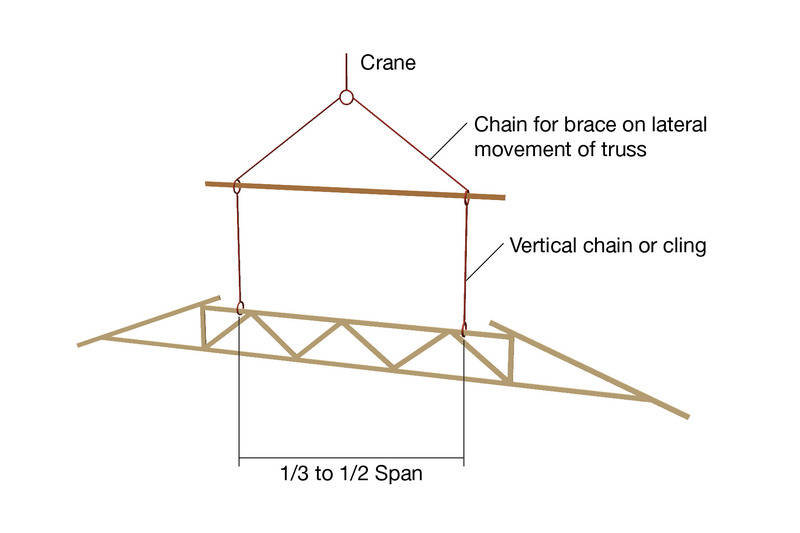 The following diagrams show the correct method of lifting and handling trusses on site. Trusses may also be pulled up to the wall top plates using skids placed approximately 3m apart. 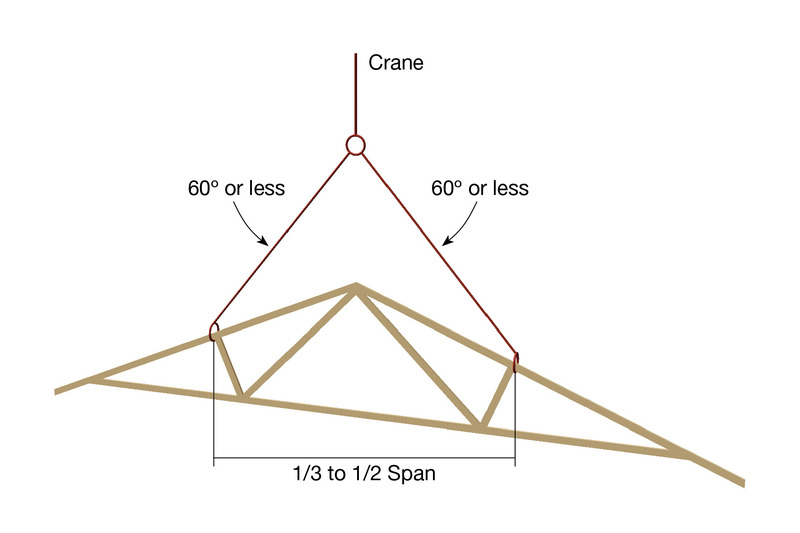 Slings should be located at equal distances from the truss centreline, and be approximately one-third to one-half truss length apart. 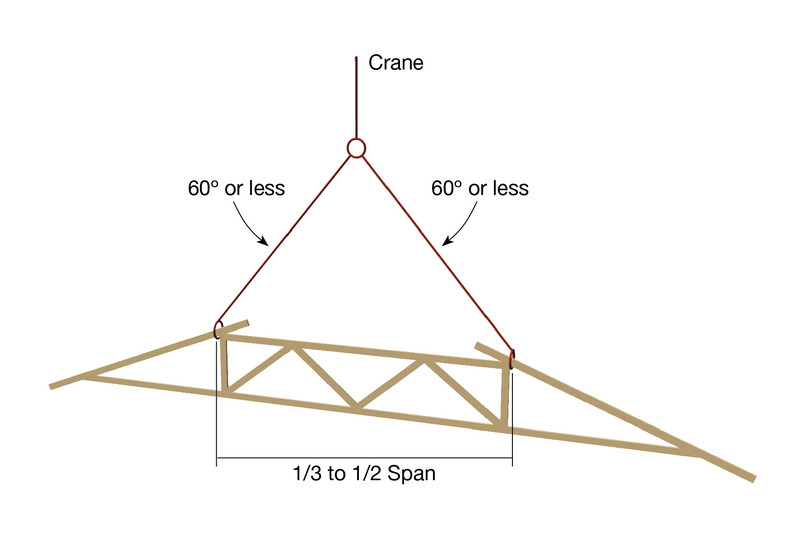 When lifting, special care must be taken to avoid damage to truss joints. If it is necessary to handle a truss on its side, precautions must be taken to avoid damage due to sagging. 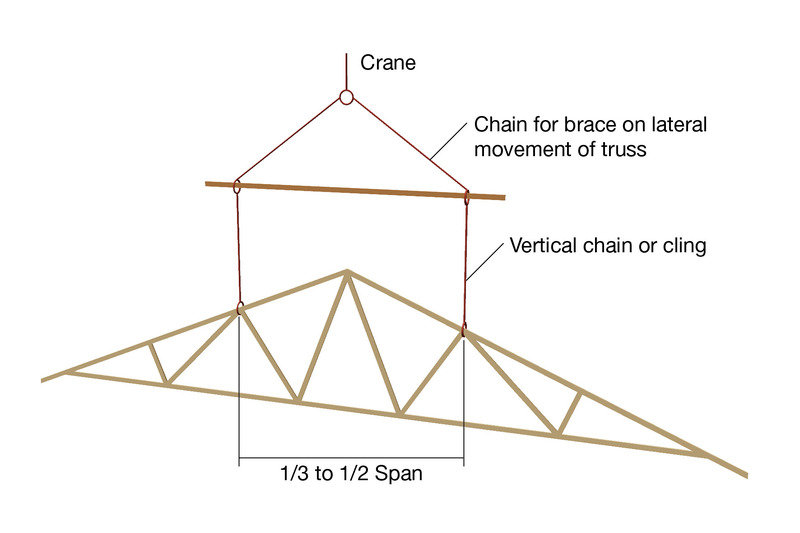 Trusses must never be lifted by the apex joint only. Spreader bars (with attachment to panel points) must be used where the span exceeds 9m. For spans over 16m contact the Multinail Engineering Department.